Give your customers what they want with these tips. The most innovative companies don’t have crystal balls. They don’t hire prophets, or consult oracles. While the year-over-year profits and rising stock prices of these businesses may seem effortless, there’s genuine strategy and expertise behind their success. At the heart of that success is having a clear understanding of what their customers want before they want it. Sure, the most successful mavericks certainly possess keen foresight, but much of that anticipation comes from looking through the lens of a customer. But how do we walk a mile in their shoes? Need answers? Sometimes it’s as simple as asking. In product development, assumptions can be deadly. While we’re all customers at heart, getting a good cross-section of customer’s needs is difficult—but critical. That means the ground level, whether you’re in R&D or marketing, is to get in front of your customers and ask them what they want. Simply asking a question like, “If you could change one thing about the diapers you use, what would it be?” Sometimes it can be that uncomplicated. There are a variety of ways to glean insight from your customer base. In today’s Information Age, it’s easy to whip up a survey for simpler inquiries. Focus groups are also a great way to create free-flowing conversations that allow customers to spitball on what they love and hate about products. Keep in mind there shouldn’t be any limitations based on gender, age, or race. For every customer you speak with, you’re gathering a singular experience that can potentially lead to a product breakthrough. Receiving vague answers? Ask more creative questions. Of course, straightforward questions often lead to straightforward answers. Those have value, but getting more imaginative with questions can help avoid ambiguity. Asking what your customers like about your competitors, for example, can be eye-opening. Flat-out asking what they don’t like about a particular product of yours can be, too. The point is this: simply asking what they want doesn’t always lead to enlightenment. This line of questioning is crucial because it helps you identify what a customer dislikes, instead of what they want. What a customer considers a problem is a perfect opportunity for you to create or improve a product. It’s also important to keep in mind that it’s also your job to distill customer feedback into the proper solution. Once again, what they want may not be the best solution to solve the need. It’s important to remember that you’re the product expert. Still no revelations? Take a trip to the human zoo. While the methods above are necessary, it’s important to note that customers have blind spots. They don’t know your products as well as you do. Even if they have a strong feeling one way or the other, they may not be able to communicate it clearly. Moreover, many customers don’t spend a lot of time thinking about ways to improve the products they use—they expect you to do that for them. So how do you check your customers’ blind spots? By focusing on their behavior. We, as human beings, fall into patterns we don’t even recognize. Much of what we do is rote, so the key for businesses is finding creative ways to monitor those patterns, and bridge the need gaps customers don’t see. Finding customers that will allow you to shadow them in their daily lives—much like watching wildlife—can reveal those gaps, and lead to breakthrough products. 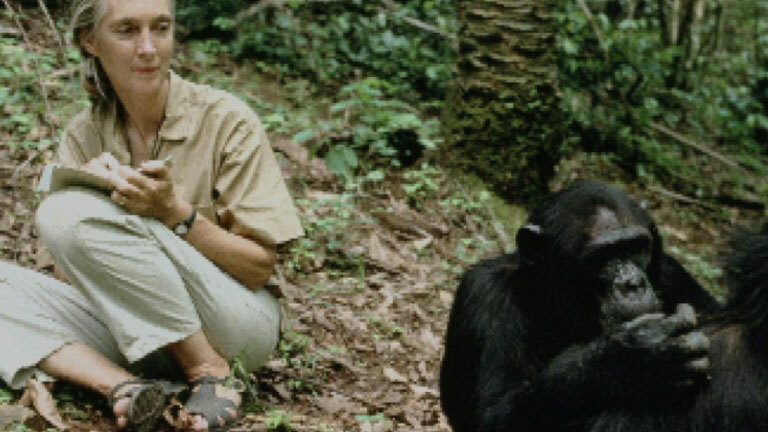 While this would take a special kind of customer, a product developer can make like Jane Goodall in a variety of circumstances. Simply watching colleagues, friends, and family can uncover the product revelation you’re looking for. The truth is in your customers, not the stars. As manufacturers, at Barnhardt we know customers drive the market, and not the other way around. Still, predicting the next consumer craze involves thinking outside the box. Cotton stands as a perfect example of this. Our cotton has been used for a variety of applications, such as automobile cushioning to surgical dressings to baby diapers. While today it’s easy to take these applications for granted, there was a time when they didn’t exist, a time when consumers weren’t entirely dependent on them. At minimum, if you aren’t able to talk to your customers or observe them, when innovating you have to keep them at the forefront of all of your intentions. That’s the only way to become a modern-day Nostradamus for your business. Download “Game Changers: 8 Cotton Products that Impacted the World” to learn about cotton-specific examples of how to give your customers what they want before they know it.